Ok then the speakers alone is this better or worst you reckon? Depends if you need an AV receiver. The post you refer to was speakers only. 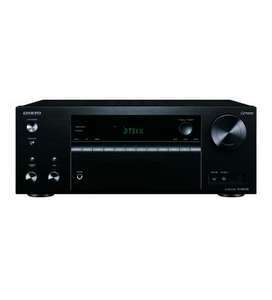 This deal includes an AV receiver. Serious post. 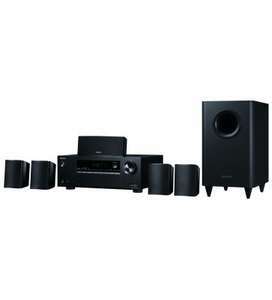 Is this better than the Harman karden 5.1 setup which was about £123 yesterday?????? https://helptochoose.com/compare-av-receivers/tx-nr686-vs-tx-nr575 686 is a bit newer as well. That is a crappy review site, but there are a few differences. Also got the extended five year warranty, as well as standard EU warranty. Is a matching footstool available? I'm not sure I could tell the difference between these and an electric toaster - does this make me a "target demographic"? My ears are already burning, have I got it wrong, again?!? 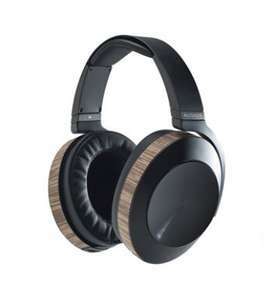 How do these compared with Audio Technica ath-sr9? I don't really pay attention to how money sounds but I will from now on. Since this is HUKD - go figure. ??Yen? ?may be? Lira? Rupee?? If £300 is your budget I'd consider the Denon AVRX2400H from richersounds (if your local has stock), or the yamaha rx-v583 from Peter Tyson. I went for the Denon in the end. Yea, many of audiophile, top end guys are listening components not actual music, if you know what I mean. It's becomes hunting for perfect setup, listening room, records and so, rather than joy. That can happen with lot of hobbies. Thanks, it looks like I need to do some more reading and spend some time in an AV shop to see what suits me best. I hate the 'research' part but hopefully I'll be able to make my mind before all these deals end :) Hobby without satisfaction? Sounds terrifying. Worth keeping an eye on this, they briefly went down to £199 (at which point I bought them) but they have gone back up to £299 now, 2 days after I ordered them. In that case you may faint when you read this list. Originally came with two sets of 1.2m leads. One with mic/volume the other without. Standard 2.5mm fit to headphones and 3.5mm for audio device. However this seems to only include the mic/volume lead. NAD is high quality equipment...a lot of people might have never heard of them but they are top brand for those who spend a lot on hi-fi equipment. Good price. I'll look forward to settling back and putting my NADs on my ears. I waited for nearly a month as they were back ordered, picked em up for equivalent £228, using Revolut, then sent back my MDR 1000s to Amazon UK (embarrassed) (y) The WHs are just a little bit better at everything I find, and in particular I find the bass to be a bit punchier which is nice as I can tone down my Bass Boost app. Meanwhile my dad is sending back his Beats Studio 3s and looking out for a cheap MDR or WH as the difference in quality at the same price range is just staggering. I got mine approved yesterday successfully. That's a proper sofa ! Is that a question or an observation? edited by OP - it seems this was a one off (a mistake by in-store salesman). Mods please delete. Oh wow. Did you get a 12 months warranty? As it says. Best price I can find !!! Good for you but I don’t. I’d rather know where it’s cheap now or going to be as I live in the now / future not past. I find it helpful to know that elsewhere an item was cheaper a few days ago. How are home av direct as a retailer? What is their returns policy, anyone any experiences? Somebody on hukd posted a video of this guy's review already but here are the audio samples of speakers, it so happens that he got a few for bose and anker brand. Compare and see(hear?) for yourself. http://switcher.oluvsgadgets.net Anker seems pretty crap compared to bose, the only one I found better is jbl xtreme. no i wouldnt trust all the 6400 reviews ;) !!! Link please, there are several Anker speakers. It could be better but being a 360 degree speaker, it is difficult to produce heavy bass for it's size. You can however put it in a corner and it should crack up the bass as it bounces off the corner walls fine. That's very old soundlink mini 1. Massive stock in Southampton store and no buyers :) They should reduce price years ago! I've listened to this in store and the distortion on the highs was disappointing. The plus has a much cleaner sound in my opinion if you can afford the extra. ​This is my concern but was only after leaving the store did I think about it.. Both salesmen demo'd the speakers to different customers by playing Emeli Sandé - Read All About It, a not very bass heavy, virtually acoustic-like track. Also I did hear a touch of distortion but I would put that down to the sheer volume the Revolve was at to compensate for being in a noisy, open plan store. So it was never 25% off, the cheeky sods. Price has now increased to £349 so the deal is over. I use my second hdmi out for my projector. Someone mentioned before on another thread this is the new RRP for this? So just to be clear, you ordered for £249 from the link and received the QC35 II's? 154 quid for a CD player! I wonder how much their tape cassette player and wind up gramophone with a horn and steel needle is? Is there a noticeable difference between this and the 6006? Or is it extras like connectivity? I'd have a PC linked into the same setup so don't need anything like that. What I love about this deal is you can add a Chromecast or Bluetooth receiver, a pair of decent speakers and a quality turntable and still have spent less than the price of a mid to high end sound bar. And have an order of magnitude better sound. Dali's were brighter than the Silver's? Surprised about that. Being paper vs metal. I find the Silver's very deep, good bass. But I think the Dali's are more musical. 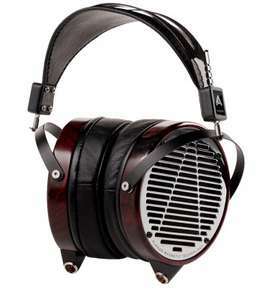 Drum and Bass I'd be all over the Silver's :D Did you have the Dali's backed against a wall? That helps a lot with them. The Silver's don't really need that. It will make them boomy. I'd encourage you to order this so you don't lose out, then go visit your local Richer Sounds and see what you think for yourself. My addled ears from years of loud Walkmans (yes, original tape ones) may have a very different perception to you. :D The Amp itself was £500 so not in the same budget. Did you compare the CXA60 to something similar in price?